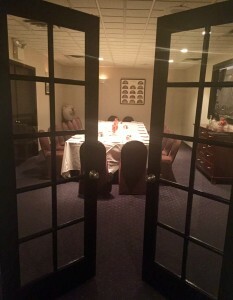 From large Holiday Parties to Cocktail Receptions and Business Luncheons, La Cucina is an excellent choice. We have a full range of menu options available for your next business event. Whether you are Celebrating a Wedding Anniversary, Special Birthday, or having a Fund Raising Event La Cucina is sure to exceed your expectations. 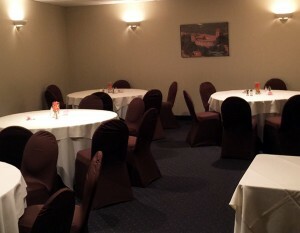 Our private dining rooms seat up to 30 people.